The threat of terrorism continues to have far reaching effects on every day life with a total of 25 terrorist attacks taking place across Europe in 2017. As risk from lone-wolf attacks and sophisticated ransomware increases, security professionals are faced with a growing challenge to evolve and stay one step ahead by investing in new technologies and intelligence solutions that will protect critical assets and people from today’s threats. Aligned with the Home Office’s CONTEST counterterrorism strategy and the Department for International Trade’s export strategy, Security & Counter Terror Expo 2018 (SCTX), which returns to Olympia, London from 6-7 March2018 to mark its 10th anniversary, will address the most pertinent issues security professionals face from around the world, providing them access to the expertise, technologies and solutions required to prevent, pursue, protect and prepare for potential attacks. With more than 350 suppliers, 3,000 products on display and over 100 not-to-be missed conference sessions, the event will facilitate discussion on best-practice strategies to halt the advance of terrorism and showcase the latest products and technologies available to those tasked with protecting the public, business and nations. Alongside more than 350 businesses demonstrating their products and services on the show floor, experts from across the globe, including representatives from the Federal Bureau of Investigation (FBI), NATO, Europol, National Police Chiefs Council (NPCC) and critical national infrastructure (CNI) organisations, will explore the best-practice strategies to help security professionals remain one step ahead of those intent on carrying out attacks. A series of new features will join the line-up at SCTX 2018, enabling attendees to see innovative technologies, solutions and services in action in the Integrated Security Showcase, and attend a series of half day workshops in the new Security Leaders Programme. The new Integrated Security Showcase will feature a live security operations centre where visitors can identify unique solutions that can be used in a variety of installations to tackle the latest security threats. 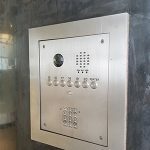 A carefully curated array of products will be displayed in the feature, with facial recognition, hostile vehicle identification, cyber threat mitigation, intrusion detection, perimeter protection, CCTV, video surveillance and biometric solutions all working in harmony. Putting training in the spotlight, the Security Leaders Programme will deliver cutting edge content to educate its audience on threats and solutions, while providing a clear roadmap for the future. Professionals can sign up to attend workshops that cover: business continuity, the protection of government buildings, security in the retail, offshore and healthcare industries, property management, and facility management. Further sessions will give invaluable advice on career management, marketing and leadership. Alongside live technology demonstrations in the Integrated Security Showcase, attendees can join MEGGiTT Training Systems – a leading supplier of integrated live fire and simulation weapons training systems – as it facilitates a fire arm simulation experience on stand B40. It will also showcase its FATS 100MIL and portable FATS 100P small-arms training systems. Showcasing best practice in reducing the threat of IEDs, SCTX’s Counter IED Zone, supported by NATO, combines live demonstrations of new technology with the latest strategies. It offers a critical learning platform for EOD, CIED, CBRNe, Defence, Law Enforcement, CT and Security professionals and is brought to SCTX in partnership with Defence and Security Equipment International (DSEI) and The Felix Fund – a charity helping support bomb disposal experts by providing welfare support and financial assistance to serving and ex-serving military and their families. The World Counter Terror Congress will return to headline the conference programme again this year, chaired by Richard Barrett, former coordinator: Al-Qaeda/Taliban Monitoring Team of the United Nations Security Council – United Nations. Run in close correspondence with the UK’s Home Office, Cabinet Office and Emergency Services, the conference will facilitate discussion on best practice to defeat the ongoing terror threat to people, businesses and nations. More than 20 sessions will examine the key areas of prevention, pursuit and protection with an unrivalled speaker line up, including such industry experts as Mr Grant Mendenhall, Assistant Director, Counterterrorism Division – Federal Bureau of Investigation; Mr Rob Wainwright, Executive Director – Europol; and Detective Chief Superintendent Scott Wilson, National Counter Terrorism Protect and Prepare Coordinator – National Counter Terrorism HQ. The conference will be complemented by six conference streams at SCTX including CNI Protection; Cyber Threat Intelligence; Policing & Specialist Operations; Major Events Security; Airport & Border Security and Secure | Design | Build. The streams are designed to offer visitors unrivalled insights into a wide range of strategies and operations from the planning and delivery of large scale events; combating the illegal movement of weapons, drugs, goods, and people, while promoting lawful entry and exit and ways to secure and protecting all communications, banking, personal information and documents transmitted online. Expected to be one of the busiest and popular conference programmes, the Critical National Infrastructure and Business Resilience conference, sponsored by Pelco, Surelock McGill and Bosch, is essential for all professionals tasked with protecting businesses and the assets essential for the maintenance of everyday life. With topics ranging from security and smart buildings to big data analytics and physical security operations, leaders in CNI and business resilience will come together to discuss, understand and create effective strategies to protect CNI while utilising all elements including cyber, physical security and staff. A series of case studies will also be presented during the conference, enabling visitors to learn from best practice, including Tim Molden, Director of Security, The Savoy and Darren Carter, Head of Group Security, Edwardian Hotels London who will provide an insight into the unique challenges of protecting London’s most iconic hotels. Cyber terrorism presents a new challenge in the 21st century. Greater preparation is required to combat those individuals who would look to take advantage of our increasing internet dependency to attack or disable key systems. With the NHS and Deloitte both suffering at the hands of cyberattacks and the National Cyber Security Centre reporting more than 1,000 attacks in its first year of operation, the need to secure and protect all communications, banking, personal information and documents transmitted online exponentially increases. Speaking at the Darktrace and Genetec sponsored, Cyber Threat Intelligence Conference, Sir Julian King, European Commissioner for the Security Union – European Commission will discuss the steps being taken to protect Europe’s Political and Economic infrastructure, while Ms Merle Maigre, Director – NATO Cooperative Cyber Defence Centre of Excellence will highlight the need for co-operative defence strategies in the face of modern cyber threats. The event will also continue its association with techUK, once again chaired by Talal Rajab, head of programme, cyber and national security. Led by the Metropolitan Police and supported by UK Police Forces and Special Operations units, the Policing and Specialist Operations conference will welcome the world’s police forces as they look to align tactics and discover new techniques, thinking and services. Attendees can join international police forces as they demonstrate and share best practice including representatives from Interpol, Europol, Australian Federal Police, New South Wales Police Force, Belgium Federal Police, Gendarmerie Royale du Canada, Hong Kong Police Force, Norwegian Police, Swedish Police Authority, French Police Nationale and the Indian Police Service. Professionals tasked with the security of large public or crowded places now have to consider a much wider range of potential threats from hostile attacks using firearms to vehicles as weapons. 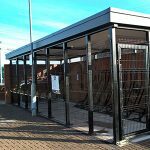 To ensure the safety of the public, a range of emergency responses is required from emergency evacuation, invacuation (inward evacuation) lockdown and the use of protected spaces. As the terror threat evolves, the National Counter Terrorism Security Office (NaCTSO) released new guidelines to support those who are charged with security at crowded places mitigate the threat and help make the UK less vulnerable to an attack. Attendees at the Major Event Security conference will discover the key tactics and training required to ensure the right processes and personnel are in place to prevent and protect the public in response to potential threats. In the fifth conference stream supported by the British Transport Police (BTP), Civil Aviation Authority (CAA) and BORDERPOL, senior border security experts, policy makers and industry representatives will discuss the evolving challenge of protecting our borders amid rapid globalisation and the on-going migration crisis throughout the Mediterranean and mainland Europe. Joining the line-up at the Airport and Border Security conference, speakers including Assistant Chief Constable Alun Thomas, Director of Specialist Operations – British Transport Police, Mr. Ralph Kruger, Project Manager Border Control of the Future – Federal Police Germany, Mr. Peter Drissell, Director of Aviation Security Regulation, Aviation Security – UK Civil Aviation Authority and Captain Ville Patrikainen, Company Security Officer, Fleet – P&O Ferries will offer insights on the developing threats and the latest technology being utilised to enhance border security internationally. The final conference stream, supported by Centre for the Protection of National Infrastructure (CPNI), invites architects, designers, project managers, developers, system integrators and installers to explore the role of security in building design. The Secure | Design | Build conference is a closed-door workshop that will explore key topics such as maximising security for new buildings, how to future proof building security and integrating physical with cyber security. In addition to WCTC and the Security & Counter Terror Expo conference streams, Ambition – the UK’s leading event for the emergency preparedness, resilience and response (EPRR) community, supported by the Cabinet Office – has announced its strongest ever line-up of global experts to discuss strategies on mitigating the impact of a terrorist attack. Dr François Braun, National Head of the Urgent Medical Aid Service (SAMU), France, will discuss the approaches adopted and lessons learned from SAMU’s medical response to multisite terrorist attacks in Paris. Dr Robert MacFarlane, assistant director of Resilience Doctrine, Training and Standards, Civil Contingencies Secretariat for the UK Cabinet Office will also speak, along with Colonel Laurent Phelip, Commander of the Gendarmerie National Intervention Group (GIGN) for the French Gendarmerie, and Dr. Fredrik Bynander, Research Director for Centre for Crisis Management Research and Training in Sweden. SCTX 2018 will showcase a wide range of product innovations from more than 350 exhibitors, including those supplying the latest in drone and counter drone technology, virtual reality, surveillance control systems, high security fencing and much more. Custom Consoles will promote its full range of security control room desks and video monitor mounting systems on stand D89. The central feature of the Custom Consoles exhibit will be a SteelBase-Lite desk. This can be configured to provide an ergonomically efficient working environment for any size of control room. In addition, Custom Consoles will also provide a control desk from its SteelBase range for the Integrated Security Showcase. Pinnacle Response will promote its Body Worn Video Cameras on stand D24, used as a deterrent to anti-social behaviour and identified to moderate and encourage compliance through heightened awareness. Its PR5 and PR6 body-worn cameras offer Digital Evidence Management System (DEMS) technology, essential for providing verifiable audio/video reports which are admissible in court, if necessary. RFA Security Services Ltd – SCTX’s official K9 sponsor – will welcome visitors to stand D36 to find out more about its Explosive Detection Dogs and Sniffer Dogs. The company, will also demonstrate the benefits of utilising Sniffer Dogs (sometimes called Bomb Dogs) in regular security sweeps of the venue. On stand B32, PITAGONE – a European leader in Threat Management and anti-terror – will present its proprietary anti ramming-trucks mobile barriers for the first time in the UK, engineered to stop trucks up to 20 tons. While Tactical Electronics on stand A40 will present its most advanced line of tactical inspection cameras to SCTX attendees. The CORE Camera line features Wireless, High Definition, Digitally Encrypted Cameras and Monitors. 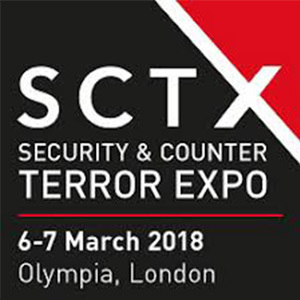 Speaking about SCTX, David Thompson, Event Director, Security and Counter Terror Expo, said: “The terrorist threat is changing almost daily creating countless issues for security professionals. SCTX is an essential platform, that provides a secure environment to source the latest solutions and define effective strategies to current threats. SCTX remains the only event that unites security professionals from all four corners of the world. Working in partnership with the National Police Chiefs Council (NPCC) and Counter Terror Policing, the event is expected to welcome a record number of delegations, building upon the 9,850 visitors who attended in 2017 from more than 114 countries – including France, Germany, Japan, Spain, Italy, Brazil, South Korea, Mexico, UAE, Canada and the US. For more information and to register for access to SCTX, the World Counter Terror Congress, Ambition, Forensics Europe Expo and The People Movement and Management Show, visit www.sctx.co.uk/registration and use guest code UKSW18.